Install in place of super restrictive factory air box and air tubing. REALLY improves the performance of the car. 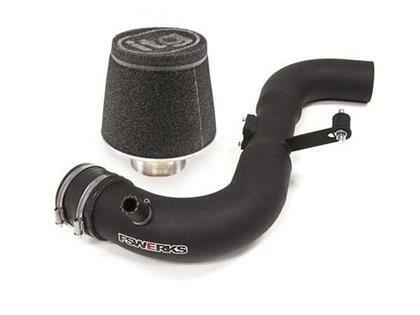 Less restriction from the incredible ITG Maxogen open cell foam type filter and the super smooth bends of the intake means more horsepower, better mileage, and maybe even a little better emissions. BIG 3” (not inferior 2.5” like competitors) tubing is ready for any power level your heading towards!!! Eliminating the restrictive factory intake tube not only frees up breathing to give more power, but it also gives a whole new sound to your Focus! This filter is completly hand washable so you’ll never buy another air filter for this car again! Really!!! Comes with ITG’s LIFETIME Warranty! It also features the ITG Venturi cone for the smoothest most laminar air flow, which means MORE power! Fairly straight forward installation. If you need assistance, let us know and we’ll walk you through it! Should take about 2 hours for a novice car guy (or girl), includes Focus Sport’s step-by-step instructions. Includes warranty info and one ITG sticker. Intake is Made in the USA, filter is made in England!! !